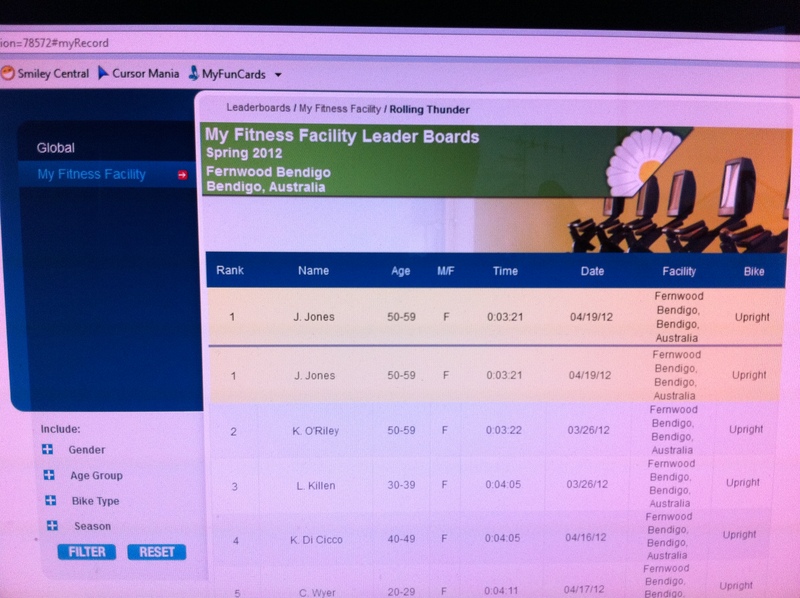 I’m really pleased that my gym Fernwood Gym Bendigo has recently installed Expresso Bikes. I’d never heard of them until seeing them there but now can’t stay away from them. They make riding an indoor bike fun and a great calorie burner. The challenging and motivating thing about these bikes is that there is a leaderboard, showing times and placings for riders in the gym who have registered online, as a rider. It’s also possible to see the times of riders from around the world. My first ride on the Rolling Thunder route, a 1.5 mile sprint, finished with me recording a shamefully slow time. As a person who rides outdoors often, I was quite shocked to see my time and promised myself there would be fast improvement. Since then, I’ve made it my mission to improve that time, and have set myself the Goal of recording the fastest time in my gym. Over the past few weeks, I’ve been slowly creeping up the leaderboard. But today, I’m very excited to say that I reached my goal. At the end of the ride, I was surprised to see my name on top of the leaderboard. But in front by only one second, so much more hard work needs to be done now to stay on top. Hey Congrats Jennifer! 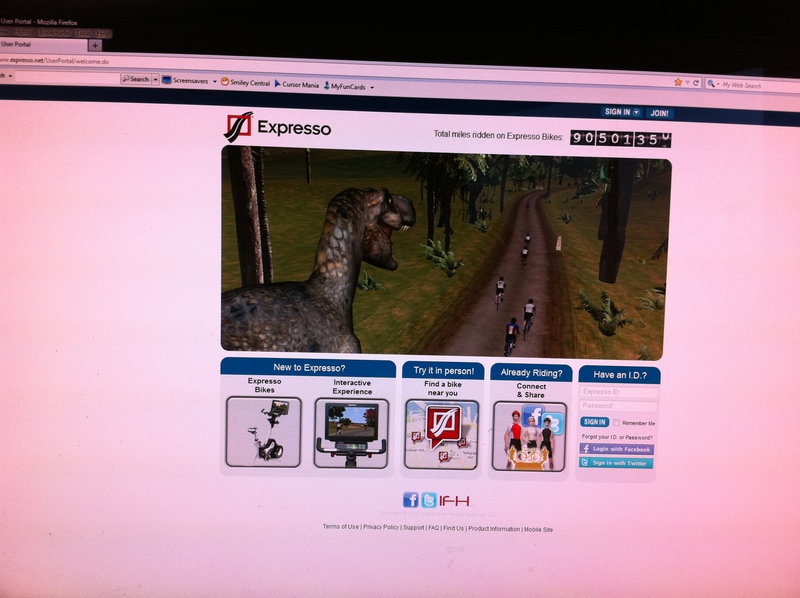 I’m the marketing director at Expresso. I’m so glad to hear stories like this. Which route have you chosen next? Will you be chronicling your way to the top of that one as well?